My daughter loves her pets (cats and gerbils).. and her imaginary pets (bunnys and puppies). She also loves to sew. So (last year!) 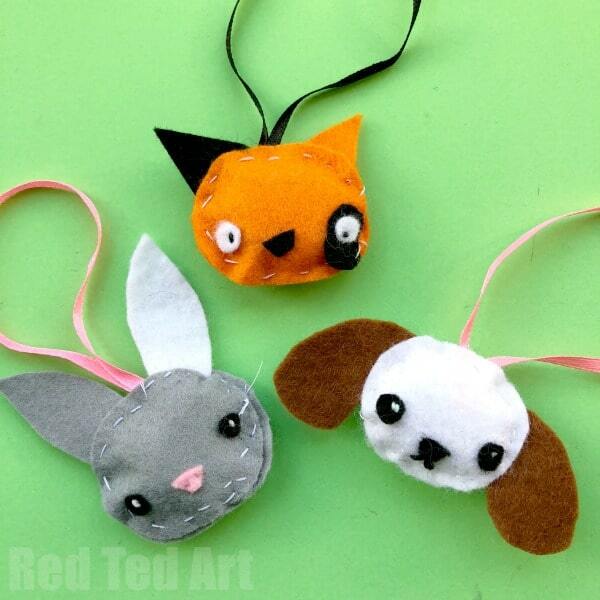 we had this lovely little Felt Animal Ornaments sewing session. 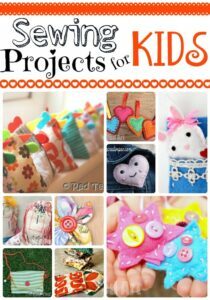 Sewing with kids is a great time to spend quality time together. I find that she can do quite a lot herself already (she is 8) but does need help with things like cutting or smaller fiddlier bits. 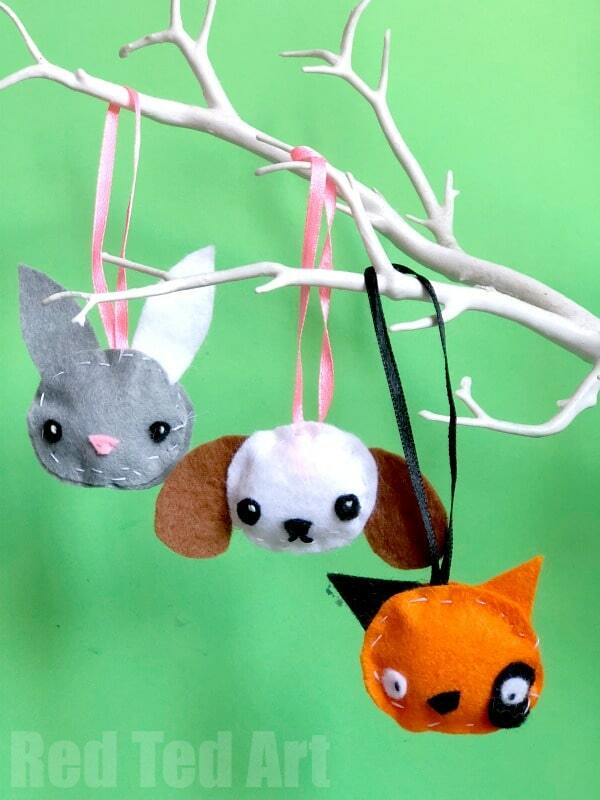 But never the less, making little felt animal ornaments like this, is a great way to sew together. They are quick to make. Look adorable. 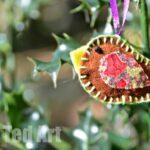 Use odds and ends of felt AND make the cutest little gift or keepsake. I love them. 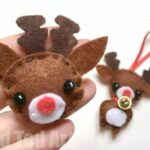 The are based on some little Felt Bunny Brooches we made a while ago, but also echo our Felt Reindeer Ornaments. 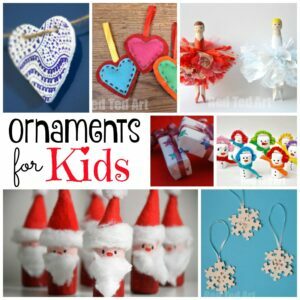 You can never have too many Handmade Christmas Decorations, can you?! As this was a “personal” sewing session with my daughter, I didn’t take any process step photos. However, they are pretty much the same as these cute little bunny brooches we made a while back. 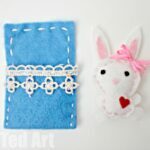 Just make sure you add a ribbon for hanging, before sewing your bunny shut. I will however add written instructions for you below too! 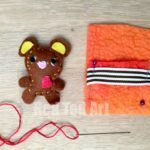 The pattern of our felt animals is a little different from the bunnies in the video – we basically added felt eyes and a felt nose and sewed those on with just a stitch or two (the ones on the video where glued on/ stitched on). 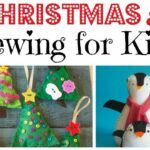 You will also need to choose some ribbon for hanging. I sewed on each eye with one stitch – the stitch being in a contrasting colour to make it the eye’s highlight. I also used thicker thread for this (embroidery thread). I also sewed on the nose with one stitch. For the cat we also added an eye patch. For the dog, I sewed on two lines to make the dog’s mouth. Prepare the needle and thread for your child. 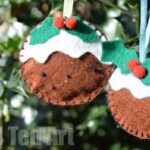 They can then do a running stitch all around the outside of the felt animal ornament. 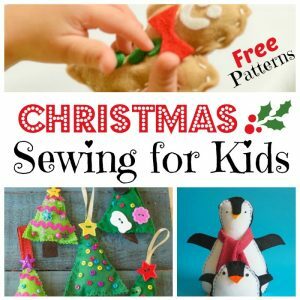 Here is a great set of basic stitches to teach your child (including a video on the running stitch). If you need to, pin the ears and ribbon in place to help with positioning. Sew 3/4 of the way around. Sew shut and knot off. 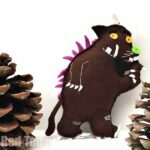 Your felt animal ornament is finished! And finally.. more Christmas Sewing Projects, which includes an adorable Santa Letter Pillow and Gingerbread Man Softie!